Click on the pictures for their credits! One rainy day, I was sitting in the class looking outside the window for a chance to go out and enjoy the weather. The class seemed so noisy, since it was a free period! Everyone was enjoying playing and talking, except me? I was alone, wondering to go out and have fun in the rain, splash water here and there, and jump around. Drip drop, drip drop.... It sounded so much delightful to the ears. It was raining so heavily that it felt as if there is a flood. When I reached home, I smelled something being sizzled! Hmm... Smells appetizing! The whole house was filled with the fragrance of the chicken nuggets being frizzled. I felt like eating them as fast as I could because I was dying of hunger! Sadly, the nuggets where burning hot. Even if I take a single bite, my mouth would burn because of heat. So all I could do, was to wait patiently until the nuggets cooled down. Guess what happened after a while? The rain became quieter like a noisy classroom becomes quiet as the teacher enters. My mom then gave me the permission to go out and splash water, and jump on water puddles. Why to enjoy this time alone. So without hesitating, I called my friends and then we all started to enjoy together and we had so much fun that I could never forget this time in my life. It was one of the best days ever for me and I guess for my friends too. 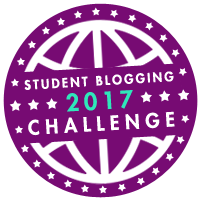 Are you all done with your blogging challenge activity for week 8? Which game did you do? ​I did game two. I chose three posts from flipboard for this game. These posts are from Joz’s blog, Shelby’s blog, and Marie’s blog. I found their posts interesting so I decided to pick them. In Joz’s blog I really liked his family post where he interviewed his family members. It was interesting to know that all of them like to spend time with each other, which is same as my family. Shelby’s Science blog is really good! Her post about “How to make a perfect comment” is really nice! She mentioned a lot of ways in which other people can make their comments perfect! 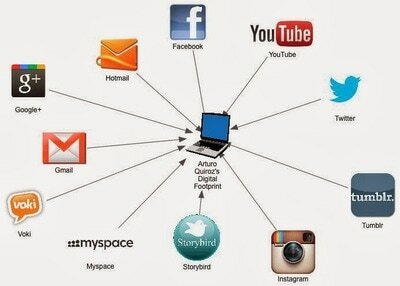 Many of them can be useful for you if you have problem in commenting. 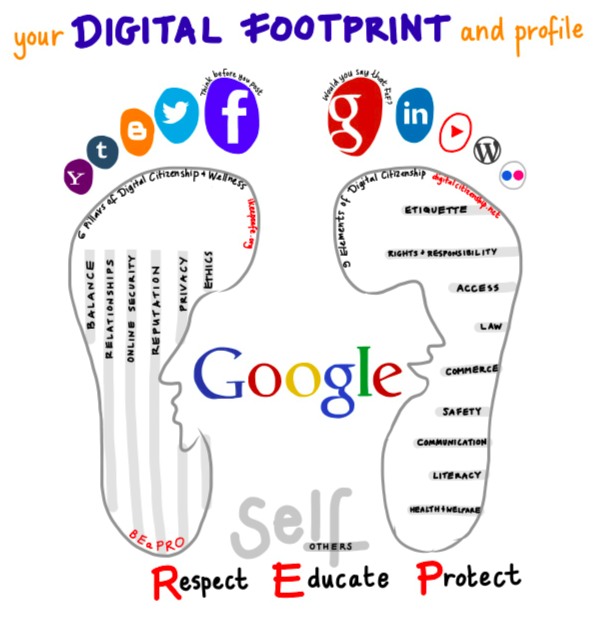 Do you have any idea that what is digital footprint, or Digital Dossiers? 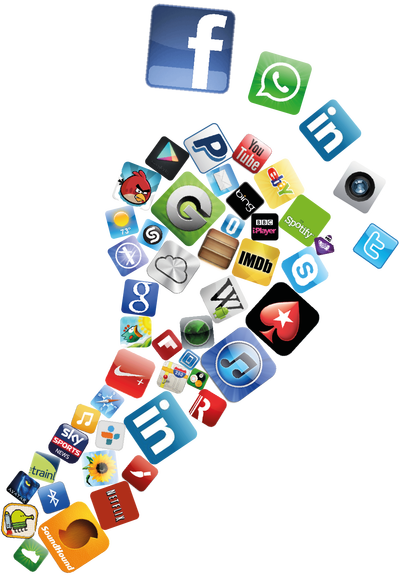 Well, if no so get ready cause I will be explaining today what is digital footprint and dossiers. Digital footprints are the prints from the internet when you do some online activities such as…. Photos when you sat, drank, talked, and walked for the first time. So now you have a better idea about them! Here are some of the websites I got help from. Click here to check out the credits for these pictures! Should smoking be banned in public areas? Some people say that it is dangerous while others say that they are addicted to smoking which is why they start smoking here and there. But for me I strongly believe that smoking should be banned in public areas and especially where there are kids! People who don’t smoke say that smoking should be banned in outdoor public areas because it creates pollution. Also inhaling the smoke can cause breathing problems and cancer. I disagree with the people who say that smoking should not be banned. For me I would strongly prefer to ban smoking because smoking is polluting the air around us. And it is also dangerous for our health both smokers and non-smokers. For these reasons, smoking should be banned from outdoor public venues. If they want to smoke, the government should provide them with specific areas where they can smoke. Do you want to know how to bake a cake? You might have gone bored eating the same sweet every day such as cookies or cupcakes, right? So why not try to bake something different today! Below I have written some directions about how to bake a cake. So better not waste time and let’s get started. To bake a cake you need half a teaspoon of salt, 1 cup of butter (room temperature), 1 tablespoon of baking powder, 2 cups of sugar, 2 teaspoons of vanilla essence, 3 cups of flour, 4 eggs, and last but not the least materials for frosting (optional). First, use the electric mixer to shred butter for a minute or two. This will smoothen your butter. I would prefer you guys use unsalted better because it is kind of better! Next, after the butter is smoothen, slowly add sugar while the mixer is on. Do this step slowly otherwise you might get messed up! It’s up to you how much sweet you want the cake to be so you can put the amount of sugar you want. Mix sugar and butter until it gets nice and fluffy! Then, add two teaspoons of vanilla essence. I would prefer vanilla extract rather than using the artificial vanilla flavoring! Next, add eggs and mix them with the batter. You have to add eggs one at a time. Be careful with this step because you don’t want your eggs to be spreading all over the kitchen and having the kitchen smell like eggs. Then, take a separate bowl and mix 3 cups of flour with 1 tablespoon of baking powder and a half teaspoon of salt. If you use salted butter then do not put salt. Mix these dry ingredients properly. Next, add flour to the batter in three stages, while mixing them together. After mixing the batter pour it into your greased baking pan and put it in the preheated oven at 200 degrees C for about 25 to 35 minutes. Finally, you can decorate your cake with the frosting if you can make one following my recipe that I’ll explain may be some other time. And enjoy eating your delicious cake! Click here for the credits! Hi everyone! Today I decided to interview one of my very dear family member, and she is… Any guess? My mom! There are many other family members that are very dear to me but mom seems to be the most…! Well let’s start the interview! Mom: My favorite color is yellow. Interviewer: What is your favorite place? Mom: My favorite place is gardens! They are really beautiful, and the flowers in the garden are really pretty! Interviewer: Well guess what? Even I like gardens! So let’s move on to our next question which is, what is your favorite thing to do? Mom: My Favorite thing to do is, knitting! I love doing knitting. Interviewer: But I hate knitting! It is my worst thing to do! My yarn goes here and there and then it gets messed up. Our next question is where would you like to spend time with your family members? Mom: I guess… maybe park! It would be fun if we could have picnic there, together with food for the picnic, and some slides, and swings, and swimming pool! It would be so fantastic to see everyone enjoying and having fun together! Interviewer: Well, thanks for coming to Anisha’s channel for your great interview! ﻿Week 5: Culture And Family - Activity 4 - Determination is the key to success! “SUCCESS!” People die to hear this word. Everyone needs success in his/her life. We do many things in order to become successful. However, being successful is not just a cup of tea. Success is gained only by hard work and determination. They say that ‘Rome was not built in one day.’ Similarly, success is not just the story of one day. We have to work hard and get the best out of ourselves to be successful. We face many ups and downs in the path of success. We do not gain success in our first attempt. We fail many times and these failures teach us something important. These important things help us a lot in the path of success. Some people lose their hope and give up whereas there are others who face these problems with all their courage and never give up as well as look out for their mistakes and try to rectify them. These determined people become successful one day or the other and set up an example for the whole world. We all know about Thomas Alva Edison. He was the man who gave light to the world through one of the greatest inventions of all time, a bulb. He did not invent the bulb in his first try. Even he was unsuccessful. He tried for about thousands of times to invent the bulb. It was his determination that made him successful. He never gave up and had a positive perspective. He always said, “I have not failed. I have found 1000s of ways that are not working”. Therefore, it is important for us to understand that we will face many problems in our path of success, but we have to change our perspective and look at these failures as the stepping-stones of success. BE DETERMINED TO BE SUCCESSFUL. Click here for the pictures' links! Hi everyone! Today I decided to make jigsaw puzzle of my avatar. Seems interesting right? I hope it is not going to be that much hard? Don't worry. It is only 36 pieces. Too many, or too less? Well you decide if it is too many or not? But please do enjoy playing this jigsaw puzzle! Week 3: Photos and Videos - Activity 4 - What I love! Hi there! Welcome to my site! My name is Anisha. 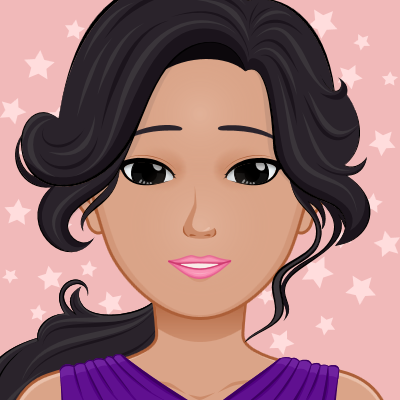 You might be thinking that how does this avatar describe me? To know more about me, click here! Has your any Post Published in the Magazine yet...? People who visit from all over the World..! Week 5: Culture and Family - Activity 4 - Determination is the Key to Success!